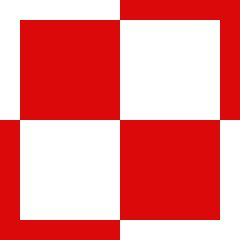 For most of the post-war period Polish military aircraft carried a chequerboard marking with the upper left square being red. The main marking was displayed on each side of the fuselage on helicopters, and in the 4 standard wing positions on aircraft. The fin flash was displayed on the fin of aircraft. No service titles were shown. 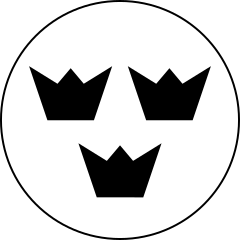 In 1993 the chequerboard marking was rotated 90 degrees, to show a white square in the upper left. The main marking is displayed on each side of the fuselage on helicopters, and in the 4 standard wing positions on aircraft. The fin flash was displayed on the fin. Both aircraft and helicopters now carry service titles – usually MARYNARKA WOJENNA RP on the port side and POLISH NAVY on the starboard side. The main marking is displayed on the fuselage sides of the helicopters, and above and below each wing and on the fin on aircraft. Aircraft do not carry service titles. The main marking is displayed on the fuselage sides of the helicopters, and in the standard six positions on aircraft. A fin flash is not carried. Aircraft do not carry service titles. 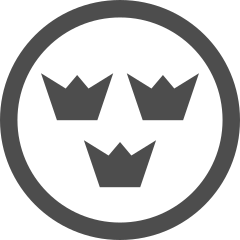 Upon the formation of the Swedish Air Force on July 1926, the previous Army and Navy national markings were standardised as three black crowns on a white disc. Blue and yellow rudder stripes were also introduced. The main marking was displayed in the standard six positions – above and below each wing and on each side of the fuselage. 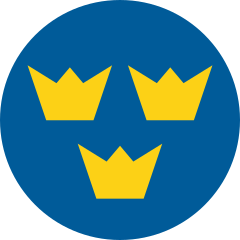 May 1937 saw a change to a main marking that featured the national colours – three yellow crowns on a blue disc. The fin flash was removed. The main marking was displayed in the standard six positions – as before. 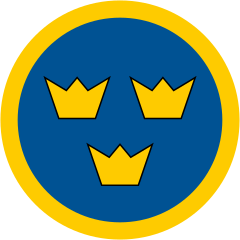 In 1940, with the war in Europe getting closer to Sweden, a thick yellow outline was added to the marking to enhance its visibility. This marking continues to be used today. 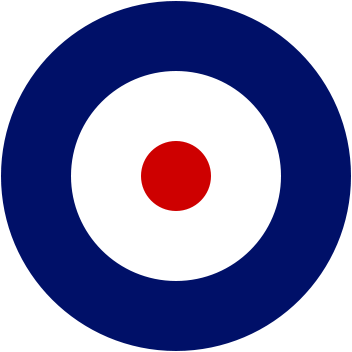 The roundel is displayed on the fuselage sides of helicopters, and in the standard four wing positions and on the fuselage on aircraft. No fin flash is used. Transport aircraft carry SWEDISH AIR FORCE service titles. The main marking is displayed on each side of the fuselage on helicopters. No fin flash is used. The service titles SWEDISH ARMED FORCES are carried on the fuselage sides. 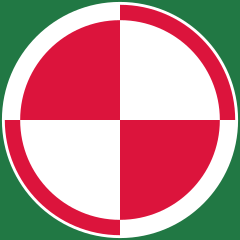 When the Hungarian Air Force was re-established on 14 April 1948, it adopted a new marking that consisted of a green disc inside a white triangle on a red disc – similar to the modern Lebanese marking but with a smaller green disc. 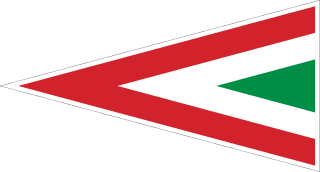 The national colours were carried as horizontal fin and/or rudder stripes. On 15 November 1949 a new roundel was adopted, to indicate the shift to communist rule. 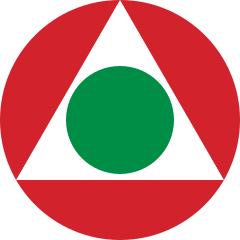 This consisted of a red star within green and red rings – similar to the North Korean marking, but with green instead of blue. 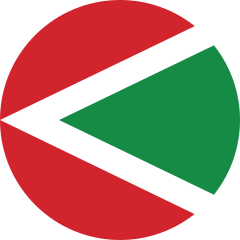 The same roundel was used on the fin in place of the traditional stripes. 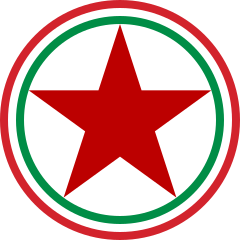 For the remainder of the communist era, the main marking consisted of a red star with a white and green roundel in the centre. It was displayed on the fuselage sides and above and below each wing, and also on the fin on aircraft. 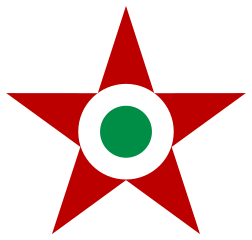 During the Hungarian Uprising of October 1956 the Hungarian flag was painted over the red stars on some rebel aircraft. 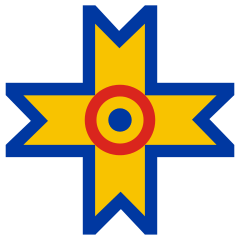 Upon the fall of the communist regime at the end of 1990, the main marking was replaced by a chevron marking within a disc. 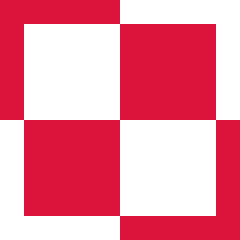 On 31 January 1991 the traditional pre-war chevron marking was re-introduced. The main marking is displayed on the fuselage sides of the helicopters, and in the standard four wing positions and on the tail fin on aircraft. Aircraft do not carry service titles. 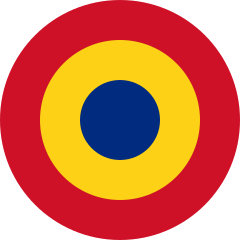 When Romania joined the Allies in World War I, the reformed military aviation unit adopted allied-style roundels with the colours red-yellow-blue. The main marking was displayed on the fuselage sides and above and below each wing. 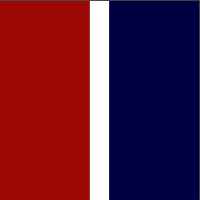 The fin or rudder carried vertical stripes in the national colours, with blue at the front. This marking was retained until 1941. 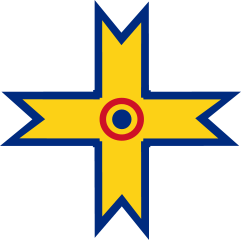 In 1941 Romania joined the Axis powers aligned with Germany, and this was reflected in a switch to a yellow cross-style making, with a small roundel in the centre. 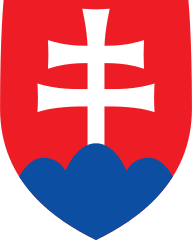 There were several variations in this makings, in terms of the length and width of the arms of the cross, and the thickness of the blue border. The rudder stripes were normally retained as before. On 23 August 1944 Romania switched sides and declared war on Germany. The national markings were hastily reverted back to the pre-war roundel form. 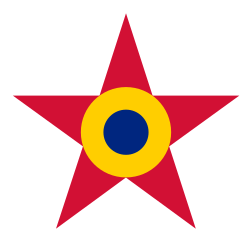 During the communist era, the main marking consisted of a red star with the old roundel in the centre. It was displayed on the fuselage sides and above and below each wing, and also on the fin on aircraft. The main marking is displayed on the fuselage sides of the helicopters, and above and below each wing. A smaller version is displayed on the fin on aircraft. 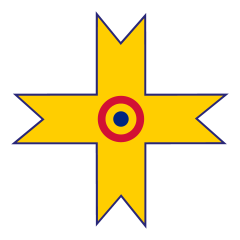 Many aircraft, including fighters, carry the service titles FORTELE AERIENE ROMANE / ROMANIAN AIR FORCE. Early RCMP aircraft were painted overall dark blue with a yellow cheat line along the fuselage. An early version of the RCMP regimental badge was usually painted on the fuselage side at a break in the cheat line. The service titles ‘RCMP Air Services’ appeared on the fin. 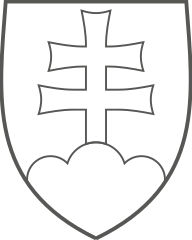 In the early version of the regimental badge the side leaves arched-up and touched the crown, which was consequently much less prominent. A redesigned version of the official RCMP regimental badge was officially approved in 1954. The regimental badge is displayed on the fuselage sides of all helicopters and aircraft. Fixed wing aircraft also feature a fin marking which portrays a Mountie on a galloping horse in blue on a white fin, while helicopters normally carry it in white on a blue fin. Fixed-wing aircraft do not carry service titles. Helicopters carry ‘RCMP’ and ‘GRC’ titles either side of the regimental badge. Some helicopters also carry the marking ‘POLICE’. Right through until the end of World War 2, Canadian military aircraft markings followed the practice of the Royal Air Force. The standard Type A blue/white/red roundel was displayed in the standard six positions, plus a red/white/blue fin flash or rudder stripes – with red leading. 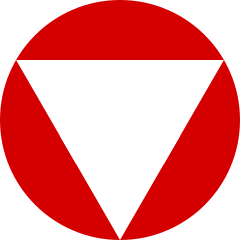 Type B and Type C roundels were widely used in World War 2, with no white ring and a thinner white ring respectively. No service titles were carried. In the post-war period, a uniquely Canadian national marking was introduced for the first time. This consisted of a blue disk with a Canadian maple leaf in red in the centre. The fin flash remained the Type C version with a thin white central stripe. The service title ‘ROYAL CANADIAN AIR FORCE’ was displayed on the fuselage sides of transport aircraft. 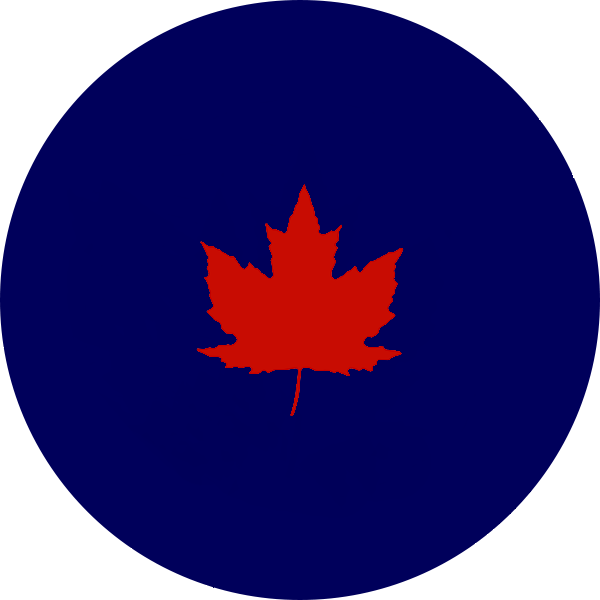 In 1947 an inner white background disk was added to the roundel, to enhance the contrast with the maple leaf. The fin flash and service titles remained as before. (When first introduced, some aircraft carried a roundel that featured a ‘small’ leaf with plenty of space between the leaf and the blue ring, but this was soon standardised with a bigger leaf, as illustrated). 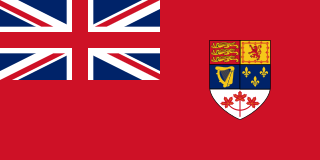 In 1958 the then current Canadian national flag replaced the RAF-style fin flash. This flag was basically red with a Union flag in the top left corner and the Canadian shield to the right. The roundels were unchanged. In 1965 the present Canadian national flag was adopted, red and white with a maple leaf in the centre. Aircraft fin flashes soon switched to this new version. 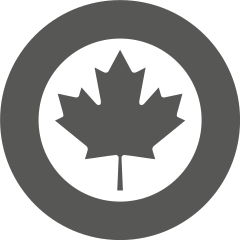 At the same time the roundel was updated to replace the ‘spiky’ maple leaf with the more stylised version used in the national flag. A number of variations in services titles have been used in this period. The original ROYAL CANADIAN AIR FORCE was replaced by CANADIAN ARMED FORCES in 1968 The introduction of the Official Languages Act in 1969, which gave French equal status, meant all service titles had to be presented in both English and French: ARMED FORCES / FORCES ARMEES. 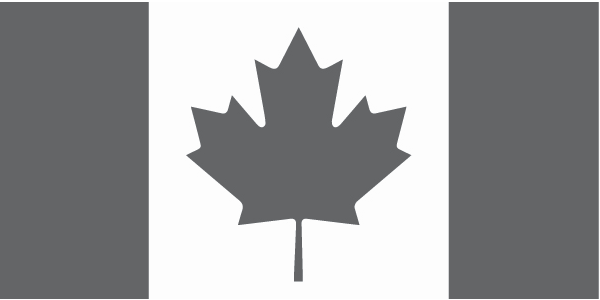 Furthermore, in 1980 the Canada Wordmark was introduced, and this saw the official Canadian federal government ‘Canada’ logo appear on all CAF aircraft. Since the reversion to the traditional name of Royal Canadian Air Force (Aviation Royale Canadienne in French) in 2011, the title ‘RCAF – ARC’ has been added to service aircraft. 1967 marked the 100th anniversary of the Canadian Confederation. 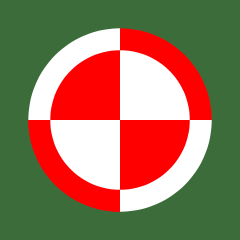 As part of the celebrations selected aircraft were marked with an all-red version of the roundel, to more closely replicat ethe national flag. These markings reverted to the standard form at the end of the year. 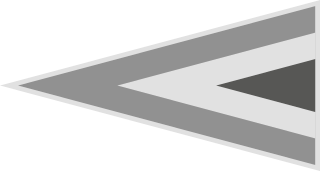 Since the 1980s, a low visibility version of the national markings has been widely used. The most common version on light grey aircraft (e.g. CF-188 Hornet) is for the markings to appear in a darker grey, with the background colour showing through where white would normally be seen. On darker grey aircraft (E.g. CP-140 Aurora) the markings are presented in a lighter grey than the background, although on some helicopters the markings appear to be in black. Service titles appear in the same colour as the roundels. 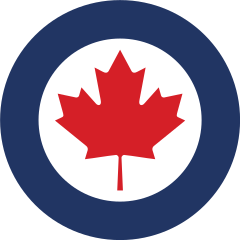 An early version of low visibility markings was carried by CF-104 Starfighters and CF-116 Freedom Fighters operating in Europe in the late 1970s, whereby the white portion of the standard blue/white/red roundel was replaced by the background camouflage colour. The same substitution was applied to the fin flash.